Child support often affects the finances of parents going through divorce, custody disputes or paternity cases in Delaware. The parent requesting or receiving child support may rely on the monthly payments as part of the family's budget, and missed payments can result in a stressful situation. On the other hand, the parent paying support may need to know how the state calculates child support and plan how to make those payments. Delaware laws explain parents' support rights and obligations. Delaware law emphasizes each child's right to receive financial support from both parents, regardless of whether the parents are married to each other. If parents divorce, one spouse will likely have to pay child support to the other parent. In Delaware, child support must continue until the child reaches the age of 18. However, state law makes an exception for children who are 18 but still attending high school. Child support may continue until the child's high school graduation, unless the child turns 19. Under state law, 19 is the cutoff age for receiving child support unless a court order makes a different arrangement. When married parents divorce or separate, the custody order will likely determine child support obligations. In general, a mother or father identified as the noncustodial parent will have to pay child support to the custodial parent. However, an unmarried parent with custody must prove the noncustodial parent's legal relationship to the child through an establishment of paternity/parentage before requesting a court order for child support. When both unmarried parents agree to the child's paternity, Delaware allows them to sign a voluntary acknowledgment of paternity and submit the form to the state. If only one parent wants to establish paternity, that parent likely needs a court order. The Division of Child Support Enforcement (DCSE) — the state agency for child support services — often helps parents who need to establish paternity before obtaining a child support order from the family court. A parent can request child support by filing a petition in the Delaware family courts. If the parent has applied for services through DCSE, the agency can file a petition on the parent's behalf. The family court must use the child support formula established by state law, which ensures consistency in support cases across the entire state. The formula calculates a monthly payment based on the incomes of both parents and needs of the children. If either parent's income changes or the payment no longer meets the children's needs, a parent may file a petition for modification, which is a court-ordered change to the existing support order. Under state law, unless the parent can prove a "substantial change in circumstances," a parent cannot request a modification unless at least two-and-a-half years have passed since the court issued the existing order. Late or missing child support payments can significantly affect a family's finances. Although a Delaware family court may order parents to pay child support, some parents refuse to pay or fail to meet their obligations due to financial problems. If a parent can't afford the existing amount of child support because of unemployment or financial losses, that parent may need to request a court-ordered modification to lower the payment amount. 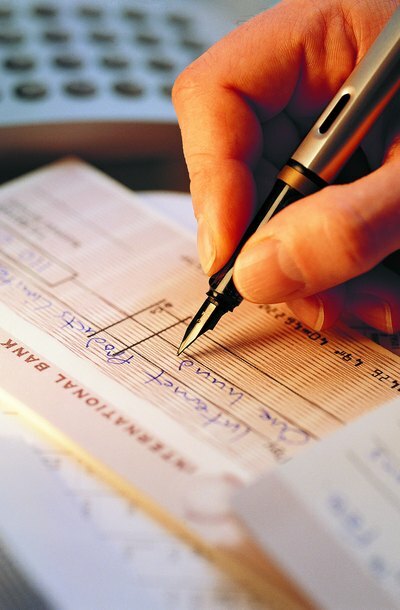 A modified order may help the parent avoid arrears — the total amount of past-due support. If a parent doesn't pay child support and doesn't seek a modification, the DCSE may help with enforcement. Delaware permits income withholding from a parent's paychecks when the parent has accumulated arrears. In addition, state law allows consumer reporting, tax refund interception and driver's license suspension as consequences of failure to pay child support. Child support refers to payments by a non-custodial parent to a custodial parent for the benefit and maintenance of a minor child. State laws govern child support, but judges have some discretion. In New York, child support is treated as a separate matter from visitation and custody. A parent cannot withhold child support payments because the other party is interfering with his custodial or visitation rights.